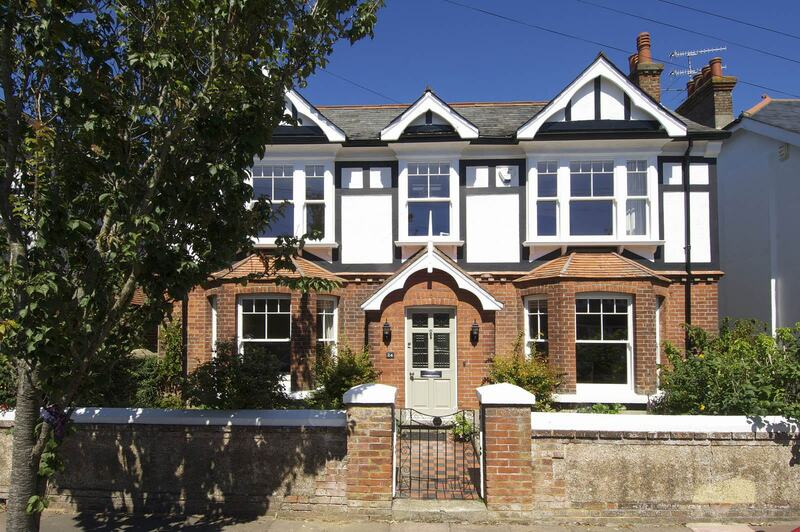 Restoring their home in a Sussex seaside town to its former glory was the main aim for Mr & Mrs Smethurst. Whilst giving it a much-needed update was important, there was no need to reinvent its appearance so it was also critical to replicate and retain the original look. 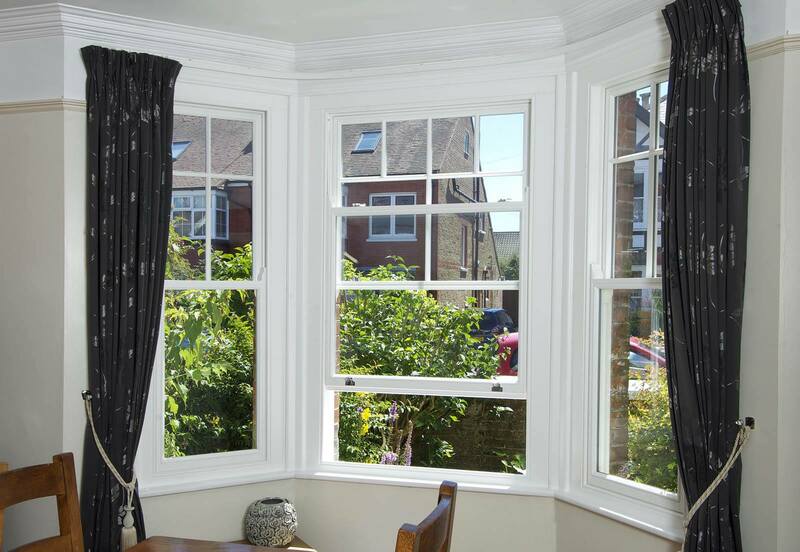 Sash windows were specified all round, including Venetian sash windows to the upper rooms; these are a style common to many period properties featuring fixed outer sashes and a sliding centre. 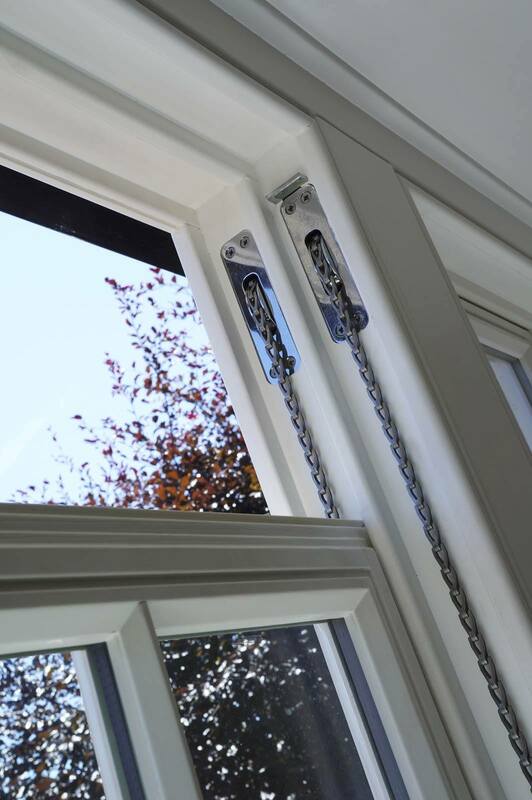 Decorative horns, 18mm astragal bars and a White painted finish were also chosen. 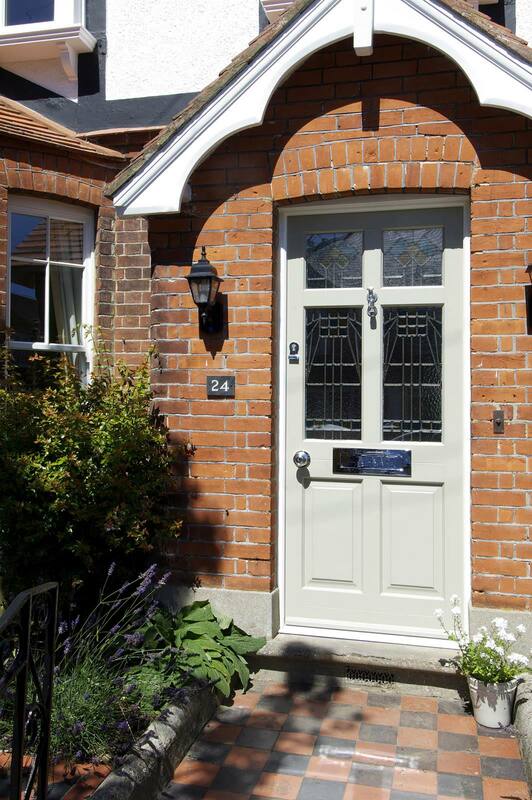 The front door is a Frenchay design finished in French Grey externally, and White internally. 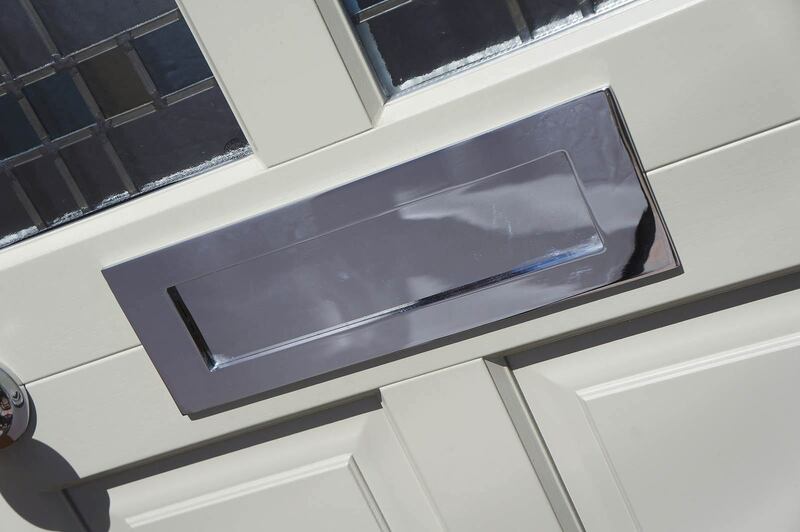 It also features chrome ironmongery including a Samuel Heath letter plate. 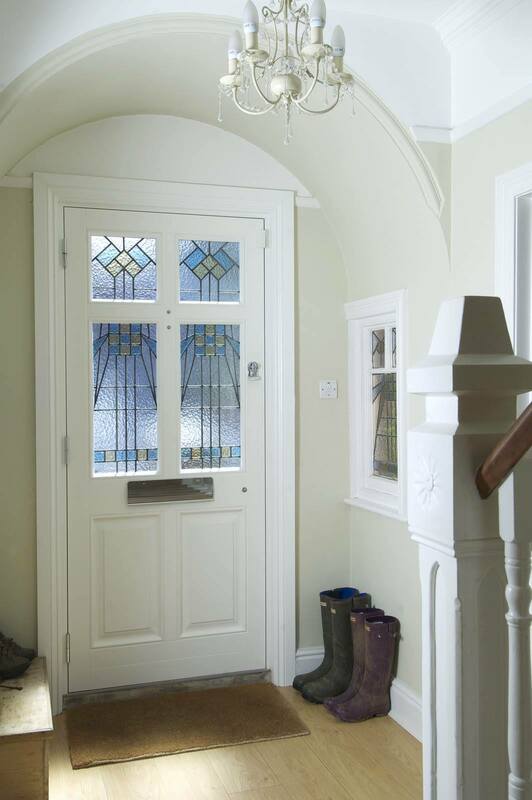 The glass design is a bespoke recreation of the original design from their previous front door.